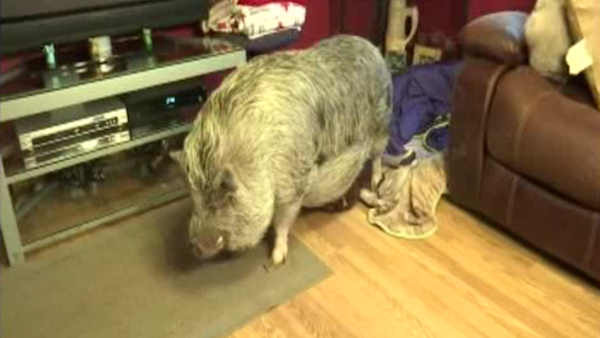 STATEN ISLAND (WABC) -- A woman on Staten Island is fighting to keep her pet, 'Wilbur' the pig. Cristy Matteo says he's a service animal who helps both her and father fight cancer. She say someone complained to the city about Wilbur. Matteo won a court battle to keep him, but the decision was overturned by the Department of Mental Health and Hygiene. Matteo says a state assemblyman is trying to push through a bill to legalize pigs as pets. If it's not passed by the end of the month, she says she'll have to send him to a new home in North Carolina.